Been wondering how Pushbullet, the popular cross-platform messaging/file-sharing/device-syncing service, was ever going to make money? We now know. This morning, the company announced Pushbullet Pro, a paid version of the service that has seen millions of downloads and sign-ups over the past couple of years. 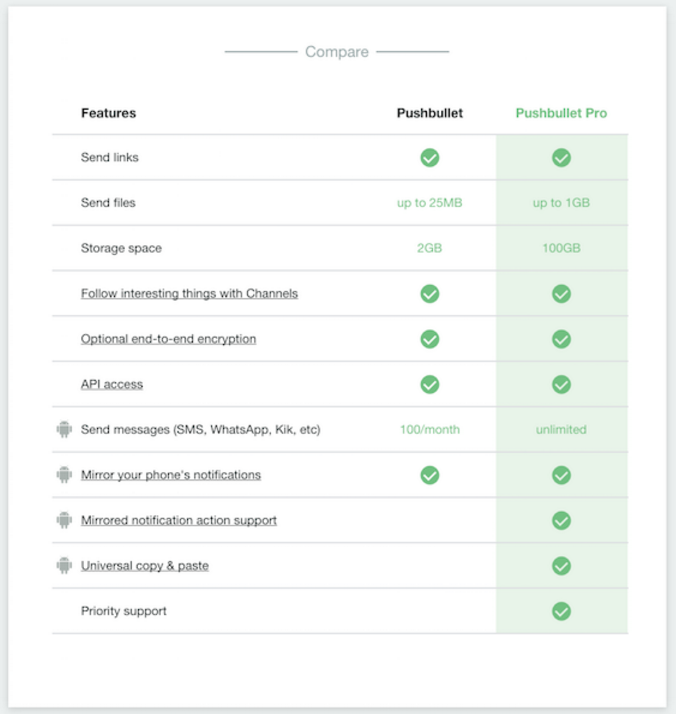 With Pushbullet Pro, the Pushbullet team is going to do its best to justify a monthly (or yearly) subscription by offering up “features worth paying for.” Unfortunately for some, that means features you once enjoyed in the free version (Yes, there is still a free version. ), will now become fully paid for features as a part of Pushbullet Pro. So how much is Pushbullet Pro? You will have two options when signing up for Pro. The first is a $4.99 monthly subscription that is billed monthly. The second is a yearly fee of $39.99, where you will see a discount to about $3.33 per month or $20 overall. If you sign-up right now, you won’t be charged until December 1. If you pay for the yearly account, you can cancel at any time and receive a prorated refund. What about features? How do they differ from Pro to free? As of today, the differences are that with Pro, you’ll be able to send files up to 1GB vs. up to 25MB in the free version. You will also be allowed up to 100GB of storage space (2GB in free), send unlimited SMS/WhatsApps/Kik/etc. (100/month in free), see actionable mirrored notifications (only mirrored with no actions in free), use universal copy and paste, and gain priority support should you run into issues. Could Pushbullet have stayed free and inserted ads or sold your data to the highest bidder to make money? Sure, but they decided that they “don’t want to do that” because it would “hurt the Pushbullet experience” and betray your trust. 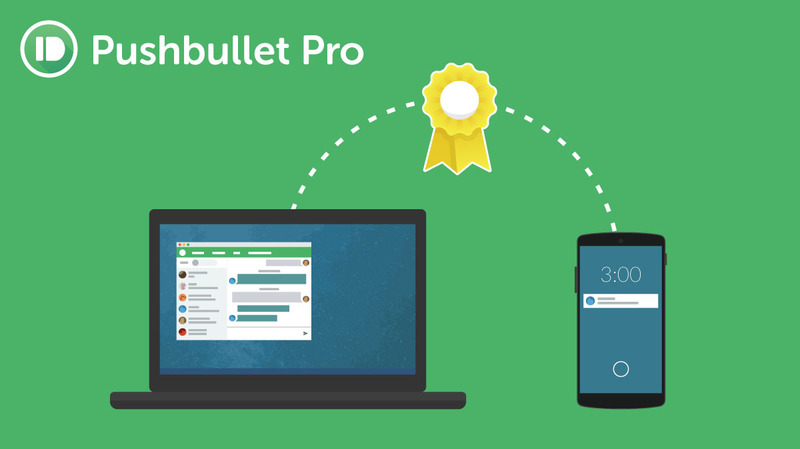 To sign-up for Pushbullet Pro, head over to the Pushbullet site here.